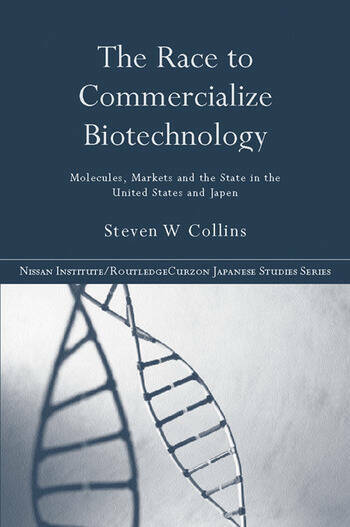 This comparative study looks at the early development of biotechnology in the US and Japan. Drawing on primary and secondary sources it traces the historical roots of recombinant DNA technology, discusses the tensions between regulation and promotional policies and identifies the major actors and strategies that launched biotechnology in both countries. Developing several strands of theory in economic history, science and technology policy, the book proposes a simple model that relates the differences in the two countries' responses to variations in the availability of institutional, financial and organizational resources needed to commercialize the new technology. Steven W. Collins is Associate Professor in the Interdisciplinary Arts and Sciences Program at the University of Washington.